Viknesh Vijayenthiran November 4, 2016 Comment Now! 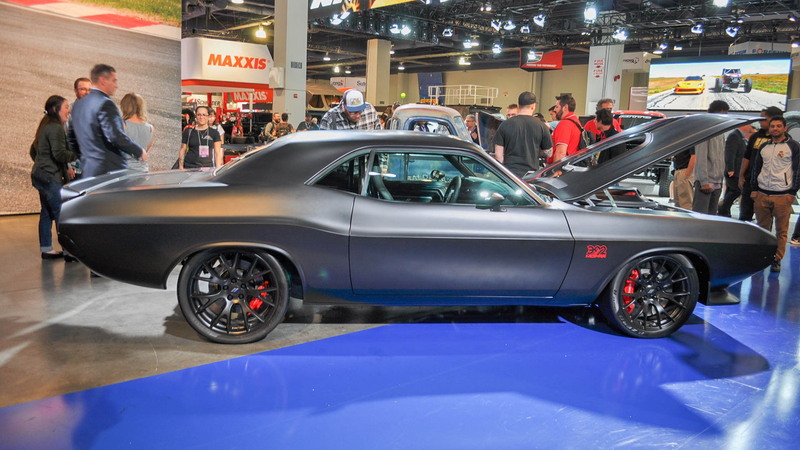 On Tuesday at the 2016 SEMA show, Mopar unveiled no less than six concepts, the highlight of which is a retro Dodge Challenger. 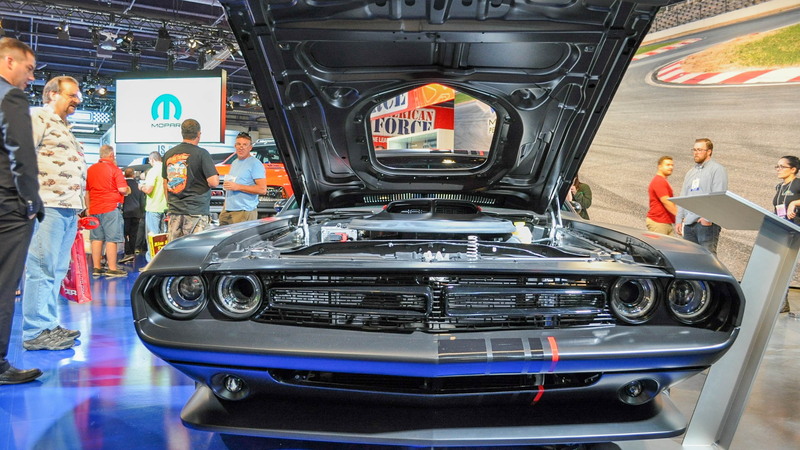 It’s called the Dodge Shakedown Challenger, and it unites old-school muscle car cues with modern technology. This isn’t just a modern Challenger with a few bolt-on mods, though. The concept features a hand-built, one-off frame with a removable body based on a 1971 Challenger. A heritage-inspired 1971 Shaker hood scoop is added with help from select parts from the Mopar brand’s modern-day Shaker hood kit, feeding fresh air to the V-8 powerplant, in this case a Challenger SRT 392’s modern 485-horsepower 6.4-liter V-8 paired with a 6-speed manual. A better chance of seeing production is the Dodge Durango Shaker concept. In fact, it likely previews a new Durango SRT rumored to be in the works. The baby blue three-row SUV gets in your face fast with a custom-fabricated, functional Shaker hood—the first-ever for a Durango—embellished with matte-black graphic accents that run from the hood to the roof. 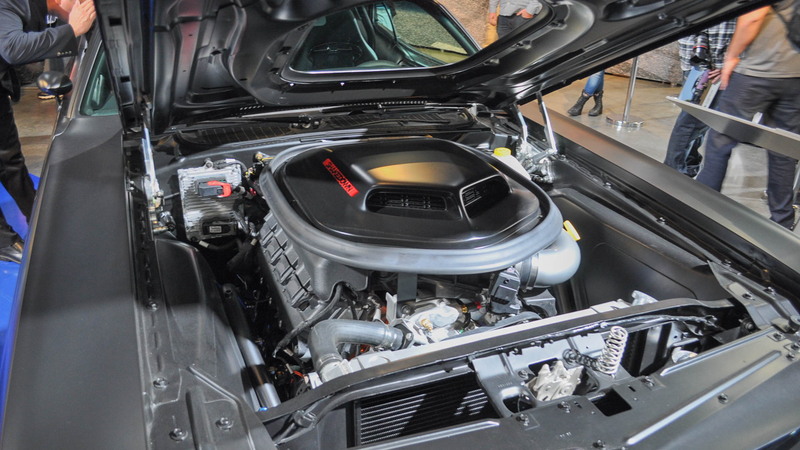 Under that hood is the same 6.4-liter V-8 as the Shakedown Challenger, though this time the engine is hooked up to an 8-speed automatic and powers all four wheels. Oh, there are also seats from the Viper filling out each row. The modified Ram Power Wagon that Mopar will present is sure to be a crowd favorite. The Ram Macho Power Wagon owes its moniker to a popular Power Wagon trim level from the 1970s and features a concept storage system called the RamRack. It helps secure larger items and neatly slides up and stows under the cab’s sail panel when not in use. The Ram Macho Power Wagon also benefits from 4.0-inch custom lift kit and giant 37x12-in Nitto Trail Grappler MT tires, set on 18-in beadlock wheels. And the vibrant Macho Mango body color, which also extends to the beadlock wheel rings, is accented with painted black graphics on the side and rear. The Jeep CJ66 is the result of taking a Wrangler TJ frame, hanging a Wrangler CJ universal Tuxedo Park body on it, and adding in Wrangler JK elements plus a few off-the-shelf Mopar parts. Why? Mopar is out to demonstrate that it has something for even owners of older, trail veteran Wranglers. The narrow-bodied Jeep CJ66 harnesses horsepower with a six-speed manual transmission. 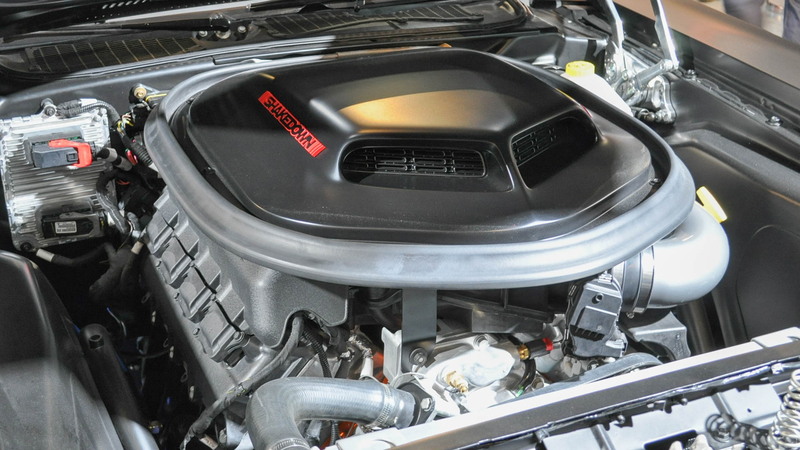 A Mopar engine cover shelters the powerplant and a Mopar cold-air intake and Mopar cat-back exhaust bump up off-road performance a notch or two. Front and rear Mopar Dana 44 Crate axles help the Wrangler easily crawl over rocks and boulders and keep its Copper Canyon paint looking fine. Mopar has something even for fans of Chrysler’s Pacifica. In fact, there are over 100 accessories in the Mopar catalog for the handsome minivan. The Pacifica Cadence hints at some of them with its interior storage options, such as Stow ‘n Go cargo bins, as well as a Mopar/Thule paddleboard/surfboard carrier and even a pet kennel. On the outside are custom graphics, 20-in wheels and a set of Mopar running boards to provide a lift into the vehicle. The final of the six concepts is the Ram ProMaster Pit Stop, based on Ram Commercial’s Class 2 customizable full-size van. The concept features a hinged door on the driver’s side, outfitted in Mopar graphics, that swings open towards the roof. A drop-down bar counter hinges and opens out from the side as well. It has been modified with keg refrigeration capacity to serve beverages from four on-board taps. Power comes from a 3.6-liter V-6, with drive going to the front wheels only. The interior is upgraded with premium Katzkin leather seats, while in the cargo area, a slotted board displays Mopar gear, including vintage neon signs. 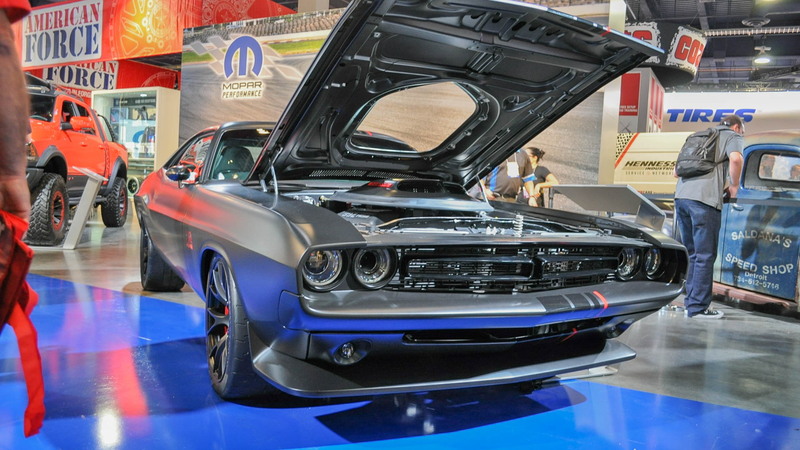 Including the six concepts built specifically for the 2016 SEMA Show, a fleet of 14 Mopar-modified rides built with both production and concept parts also sits on the brand’s 15,345-square-foot display.